Is your website Manage your own website? We can take your existing website with its current look and make it editable with an administrative login. NO NEED FOR RE-DESIGN. Need to edit/manage your own website? Need custom development for your website? 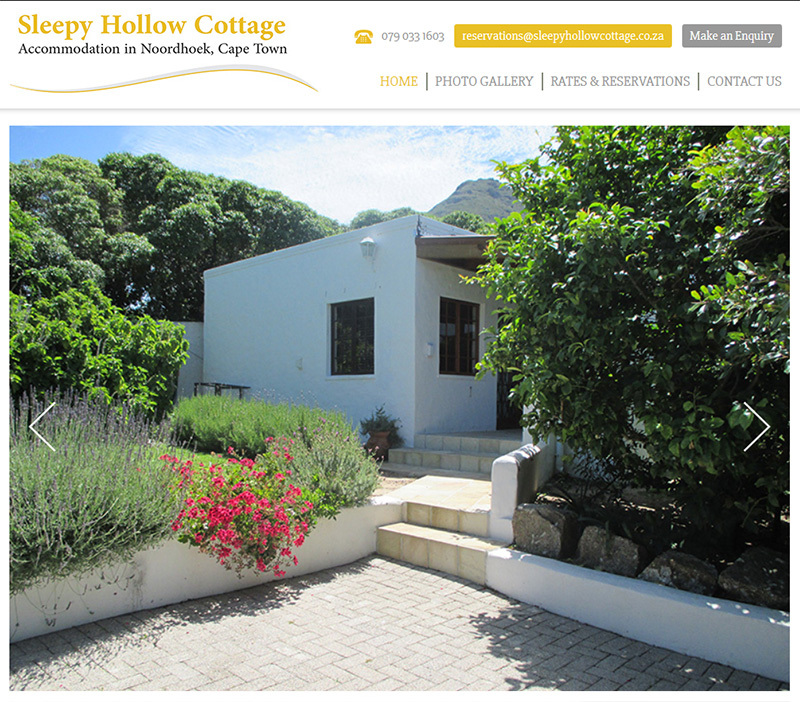 Sleepy Hollow Cottage is spacious cottage with a large bedroom equipped with a king-size bed and an open plan lounge leading to a dining room and kitchen. It is fully equipped for self-catering and situated in Noordhoek, Cape Town. Prodigy Developments is a company forged with the greatness of good service to our customers, ensuring them of the best quality outcome. Whether you need something simple done such as an enquiry form to an entirely custom built website... Let us offer our services to you.